Forever memorialize your loved one by using these sayings to make custom decals, canvas art, or other memorial keepsakes. Like dandelion seeds in breezes, your memory now floats freely where it pleases. Forget is not a bad thing, for we get our loving memories of you. Whenever I am seen smiling, the world will know it's because I'm remembering you. In loving you, we are gifted with memories that can never die. We made memories and now I get to relive them through remembrance all the days of my life. 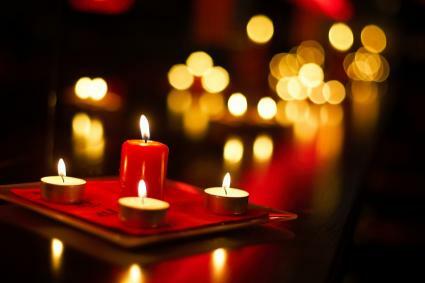 When you host a memorial service or want to commemorate a loved one's anniversary of death with a reading, quotes about remembrance capture the tone of the event. Each year that passes without you here grows longer, as do my memories of you. Many things have been forgotten since you left us, but you will never be one of the forgotten. I celebrate this momentous day where God chose you to walk beside him. The number of years without you could never be greater than the number of ways I love you. An anniversary comes but once a year, yet your memory lives in me each day. Short memorial sayings work great for writing in the guest book, on a card to be placed at the memorial site, or in a memorial bereavement book. Forever alive in our love. Thoughts of you transcend time. Toms Songs - Music that tells the story of soldiers, 9/11 heroes, and more. 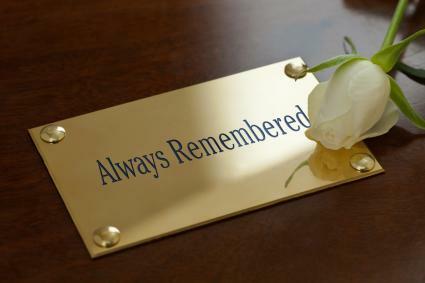 A memorial can be a tangible object that is on display for others to view, such as an altar. A memorial can also be something less tangible while still commemorating the deceased. It can be a service for mourners to attend with a ceremony to honor and remember the deceased. Poems and memorial sayings may be read or sung to help people celebrate the life and accomplishments of their loved one. Following are common memorials. Everyone grieves differently, but memorial sayings about death can help you voice your feelings and start healing. Think of your lost loved one and write down what words come to mind to start writing your own emotional memorial death saying.